My daughter asked me to make a little pink purse for her little neighbor girl who likes to visit and play with her chihuahua, Sammy. 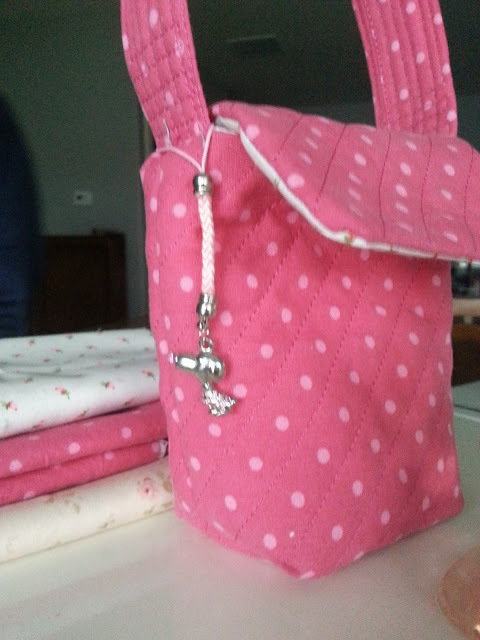 Here it is and I even had a little dog charm on hand and attached it to the handle. 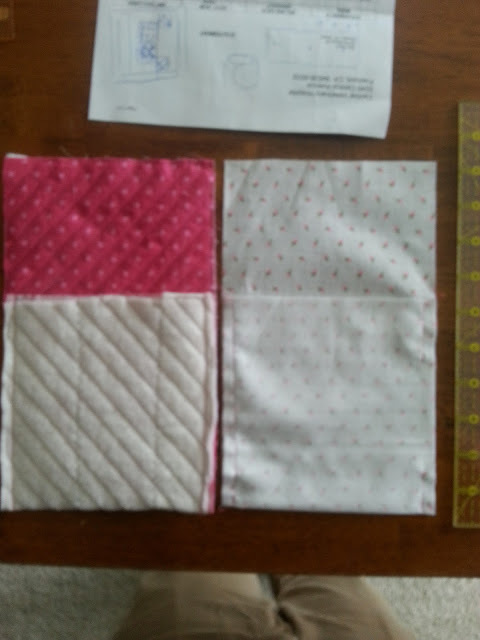 I made a tutorial in case you'd like to make one for your little girl. 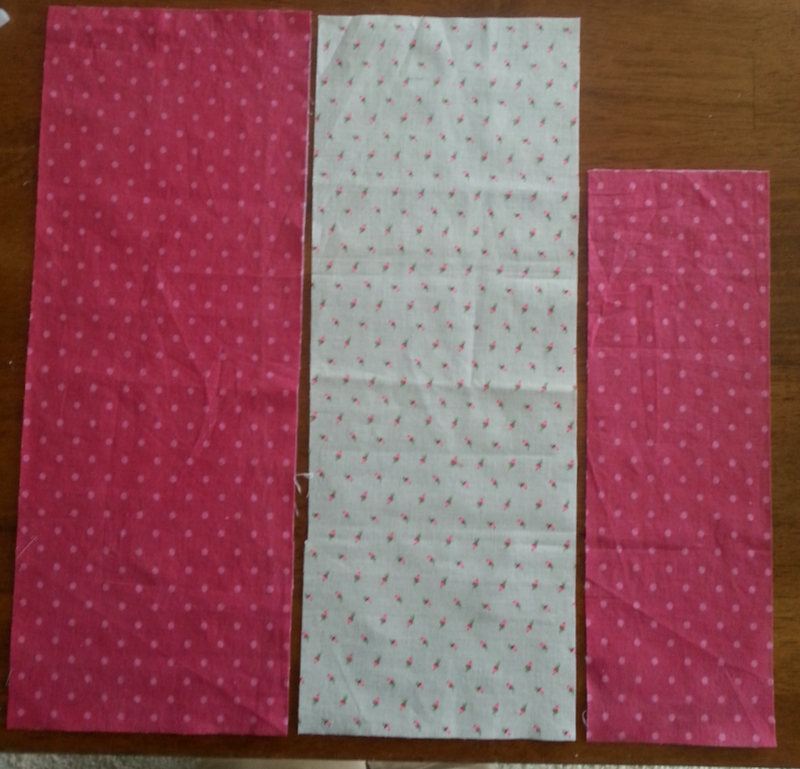 Cut 3 pieces of fabric. 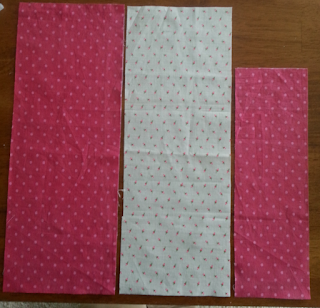 Outer bag and lining piece each 6 x 16". 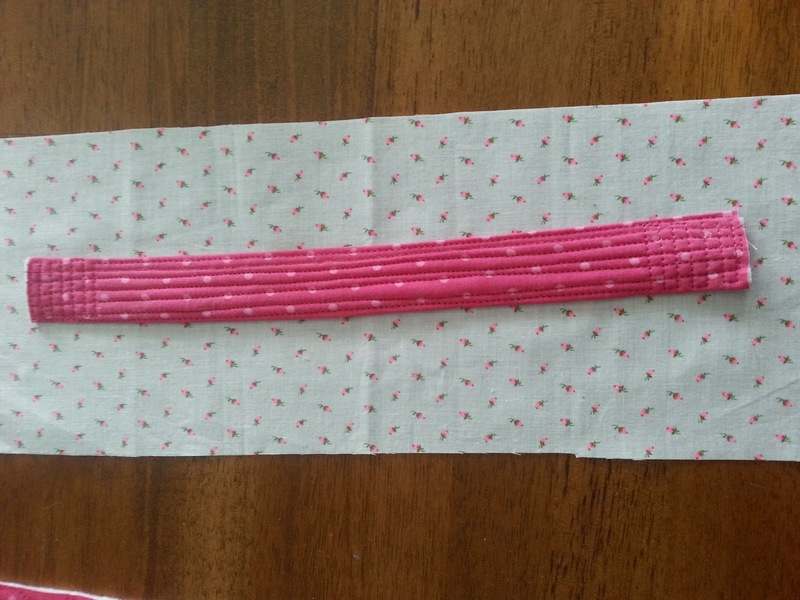 Handle piece 3 1/2 x 10" (mine is 4 x 12" and that's a little big) Cut one piece of batting 6 x 16". I zigzag stitched 3 scraps of batting to get my 6 x 16" batting. Quilt the batting to outer bag fabric in method of your choice. 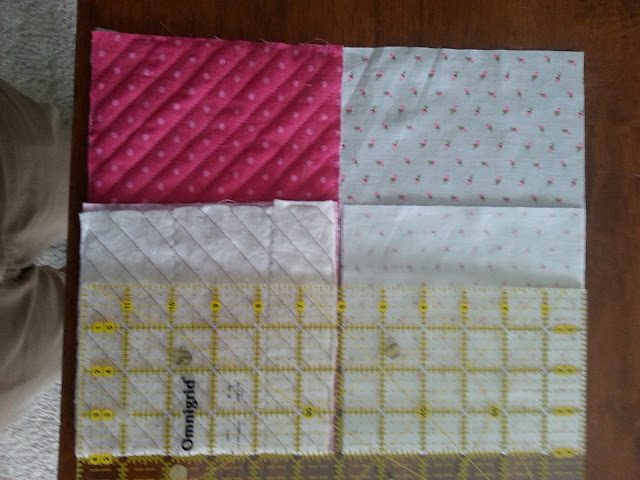 I quilted the two layers with diagonal stitching which was easy to guide my sewing machine foot along the row of polka dots. To make the handle, press in one edge 3/8" and then another 5/8" on one side and 1 " on the other side. Lay strips of batting in the handle center. 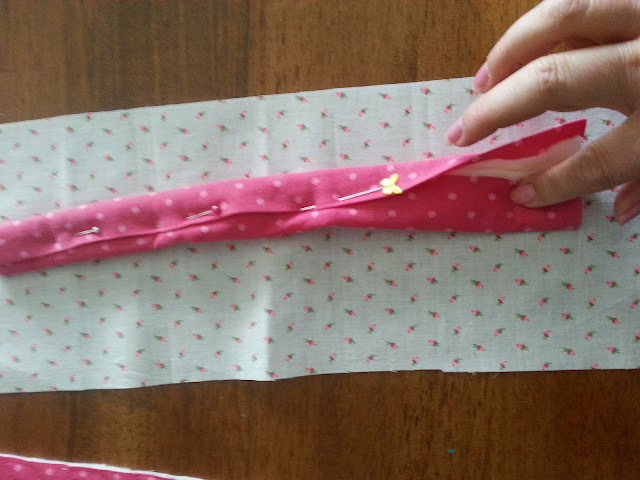 Fold the raw edge over the batting and then the pressed under edge and secure with pins. 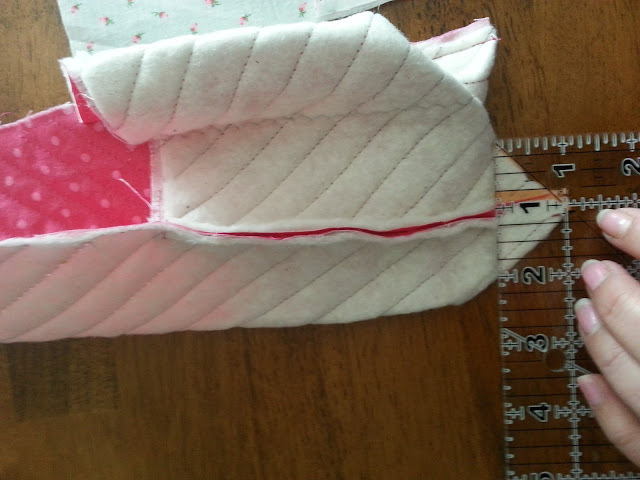 Sew back and forth long ways and optional, you can make stiching along the short way if you like how it looks. 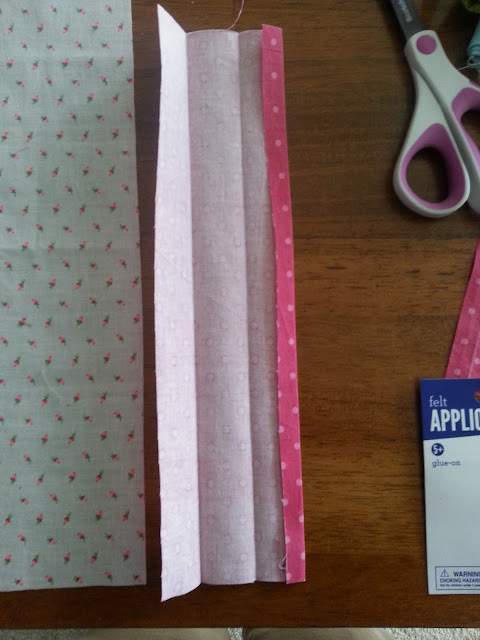 Fold the outer bag and lining up 6 inches with right sides together. Sew up both sides of outer bag and one side of lining and on the other lining side sew, but leave a 3" opening for turning later. Box the bottom corner by folding as shown. Draw a line at the 1" line. 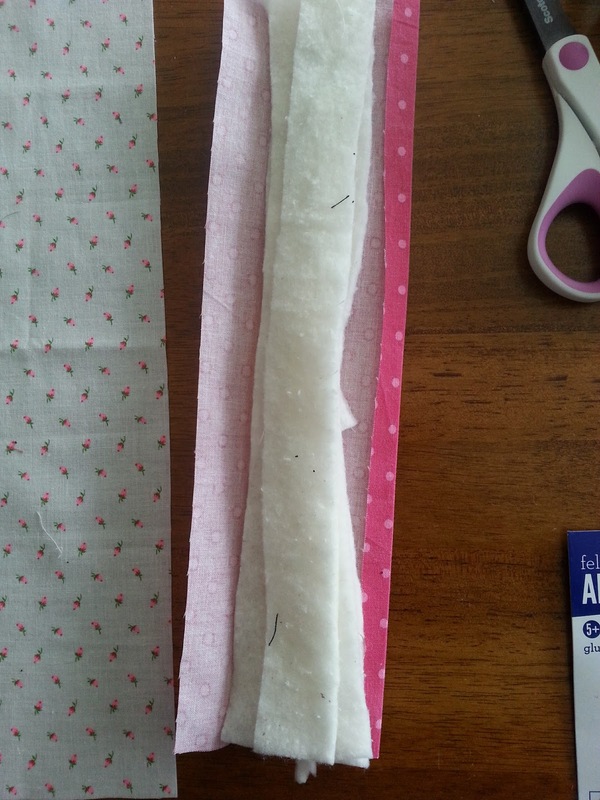 Sew on the line several times and then trim off leaving a 1/4" seam. Do this to both sides of outer bag and also both sides of lining. Cut away 5/8" as shown above. 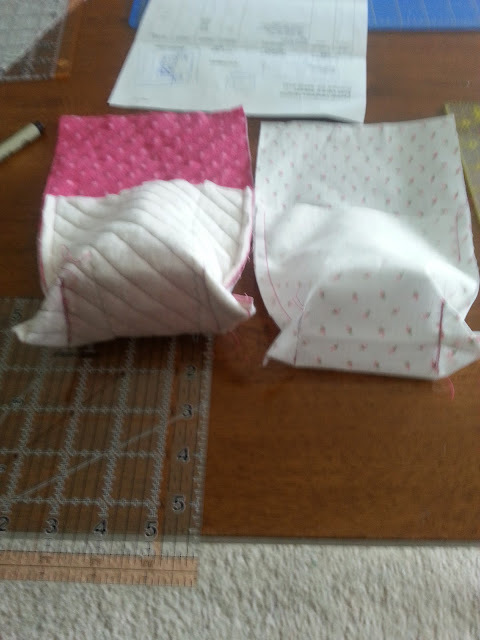 Now place the lining inside the bag with right sides together. 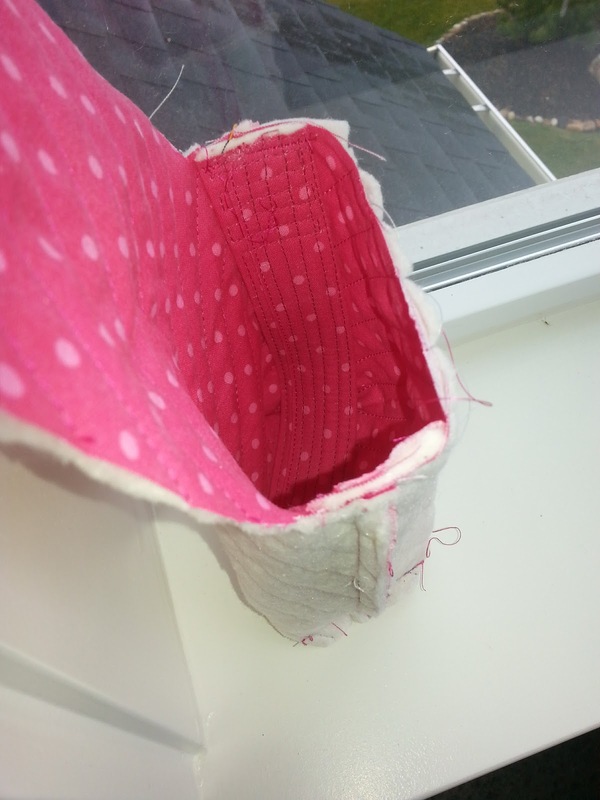 Stitch around the flap and then around the top of the bag. 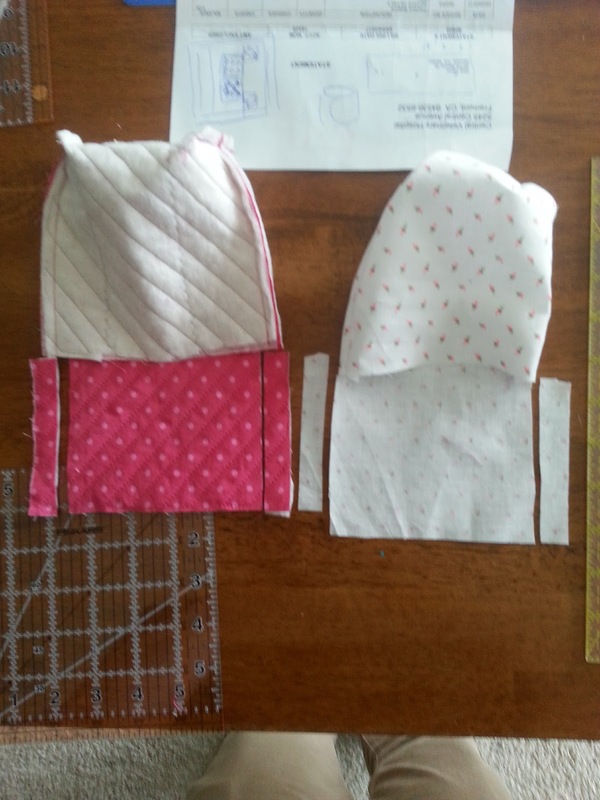 Stitch the handle area several times. 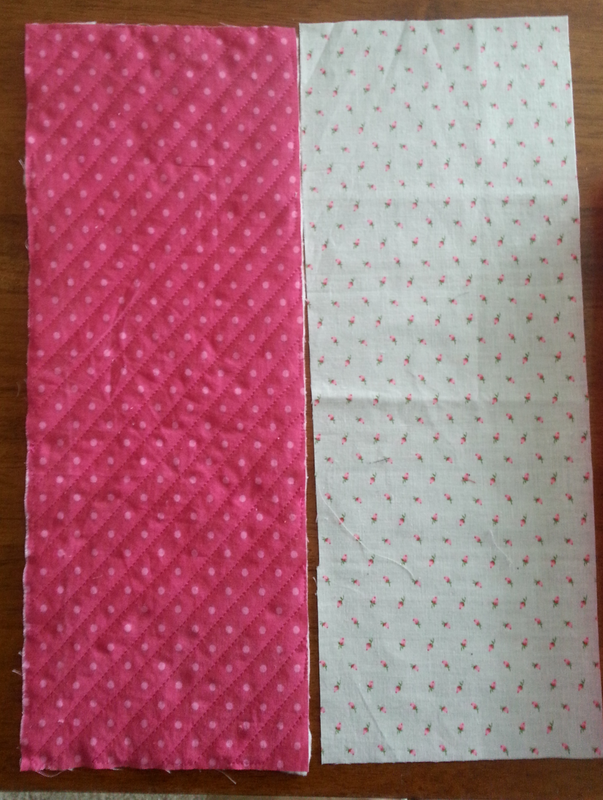 I used a 1/4" seam. Trim the corners before turning. 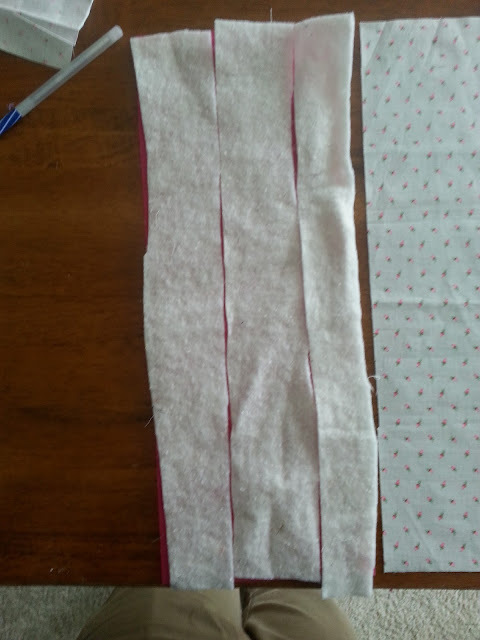 Pull the right side out through the 3" opening in the lining. Stitch the lining closed. 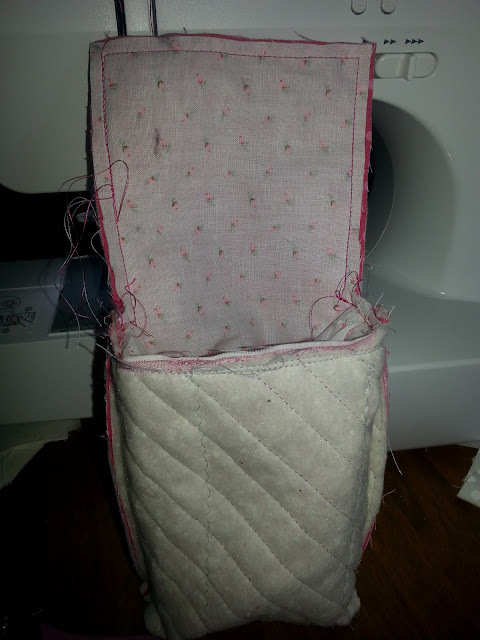 I used the sewing machine but you could slip stitch it. Press. You can top stitch if you want but I didn't. It kind of needs a button closure but not sure if I'll do that or not. 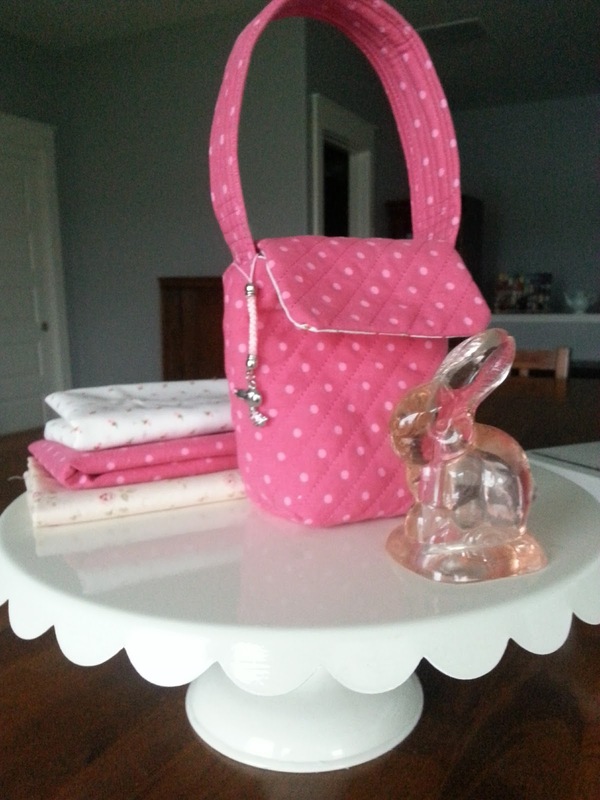 What a cutie purse. I love little projects like this. It is fun to be inventive. It's so cute! Thank you for the tutorial. Oh, how sweet! And you provided a tutorial, too! What a doll! Hope you don't mind that I pinned it to both my bag board and my kids board to save it for later! I know just the little girl that needs one of these! Thanks! I'm sure your daughter's friend will be delighted! 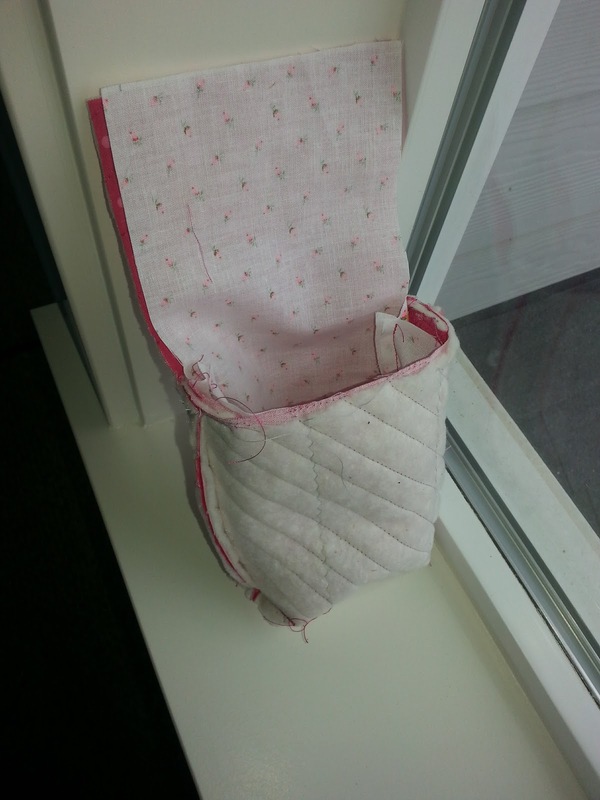 Gorgeous fabric, and I love the way you quilted it ..... especially the handle, with the lines of stitching across the short sides!